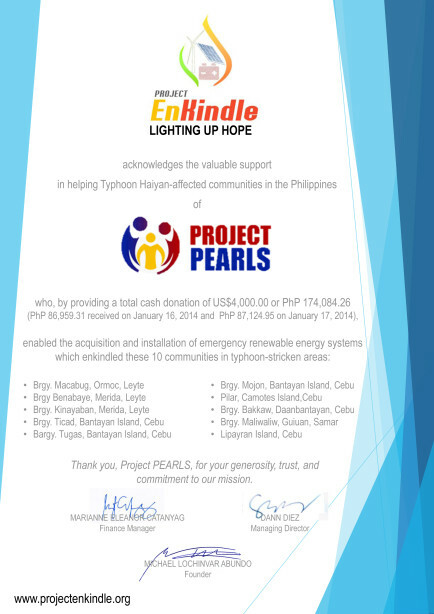 Project PEARLS is collaborating with Project Enkindle in providing renewable energy solutions for the survivors of Typhoon Haiyan. 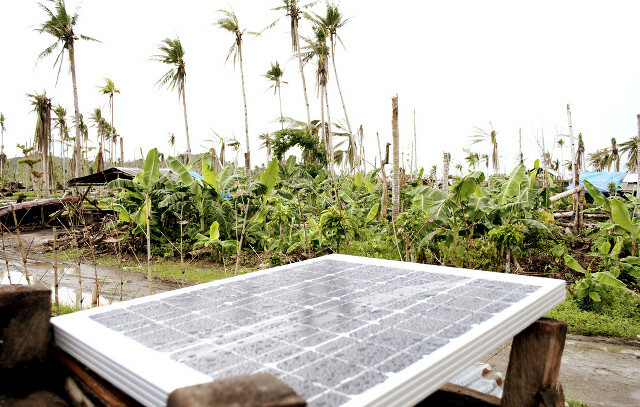 Project Enkindle is a medium term rehabilitation plan formed to provide mobile and easy to deploy renewable energy solutions that will immediately address the need for electricity of Yolanda survivors, especially lighting, charging of communication devices, and powering of essential devices. We recognize the need for interim alleviation and long-term sustainability, therefore transition plans for stewardship and integration to a micro-grid in the community will also be in place. Below are the solar systems that have been installed and will be installed in different areas that are devastated by typhoon Haiyan. 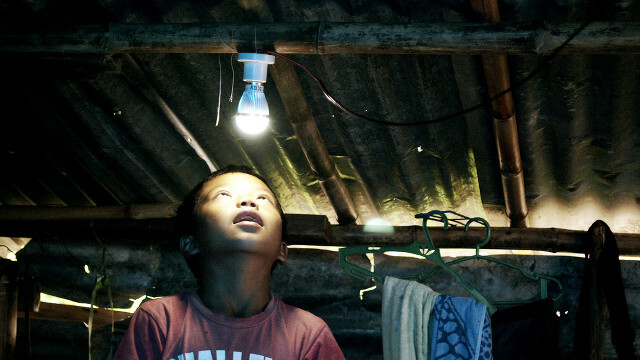 The 100kW: 100 households (each house hold with 1xRefrigerator(500W), 2xFans(2x25W=50W), Lighting( 50W), TV (50W), Computer(50W)). On 29 December 2013, Project Enkindle installed a 50 watt monocrystaline solar panel at the Ibero’s new cottage. 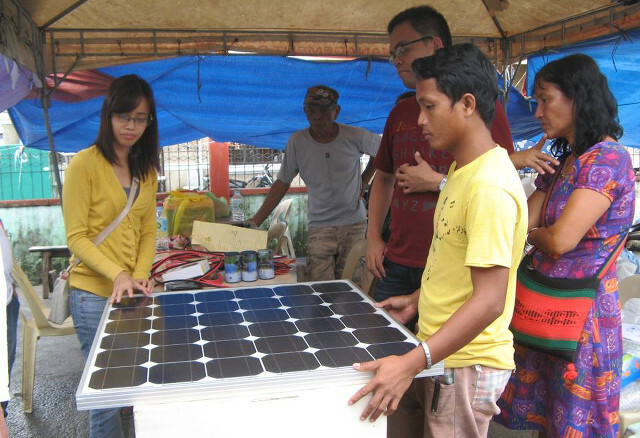 This solar panel will be used by the family and as a communal electronic charging station for the people of Barangay Cabalagnan.